Martin Scorsese just walked away this weekend with a Best Director trophy at the Golden Globes for his work in Hugo. Yet, in 2007 Scorsese finally got the attention from the Academy Awards as a Best Director winner for his 2006 film, The Departed. While the film brought Marty back to his gritty crime stories and saw him work with a brilliant cast that included Leonardo DiCaprio, Jack Nicholson, Matt Damon, Alec Baldwin, Mark Wahlberg, Vera Farmiga, Martin Sheen, Anthony Anderson and more, one of the stars of the film was never seen and only heard - the film's soundtrack. Just as brutally intense and violent his films can be, Martin Scorsese is a stickler for music. It is why he is crafted some of the best rock and roll documentaries of all time - from The Last Waltz, Shine a Light, No Direction Home and recently, George Harrison - Living in the Material World. 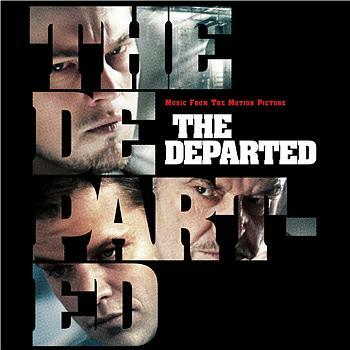 Yet, the soundtrack for The Departed not only played perfectly for the films story to flow and pack a punch, it struck a chord with audiences. From the opening use of Rolling Stones "Gimme Shelter," to Dropkick Murphy's "Shipping up to Boston." Yet, oddly enough, Marty needed a hand in picking the soundtrack. He contacted his friend, and The Band leader, Robbie Robertson to help pick music. The result was the soundtrack that features music from The Stones, Dropkick and the brilliant cover of Pink Floyd's "Comfortably Numb," done by Floyd's Rodger Waters with Van Morrison and The Band. Plus music from Patsy Cline, Badfinger, The Beach Boys, The Allman Brothers and more. Also a striking notice as to what is not on the soundtrack is "Gimme Shelter," like many songs from the film including Nas' "Theif's Theme," and John Lennon's "Well, Well, Well," they did not make the soundtrack cut and only appear in the film. With or without these songs, The Departed soundtrack plays like the gritty crime sage that it rests over and one to admire.